Master Chef Nigel Spence of Ripe Kitchen and Bar in Mount Vernon, New York, serves up this tasty Jamaican Hummus. Add tahini, lemon juice and salt to the bowl of mixer or food processor and blend for 1 minute. Slowly add water in a stream until mixture is smooth and silky like the texture of thick pancake batter. Mixture will get thicker before it ultimately loosens up while streaming the water in. If using the mixer, then transfer the mixture from mixing bowl to a food processor, then add the chick peas, garlic and scotch bonnet pepper. Blend for a minute, adding additional water as necessary to keep the mixture smooth and silky and not too thick and chunky. 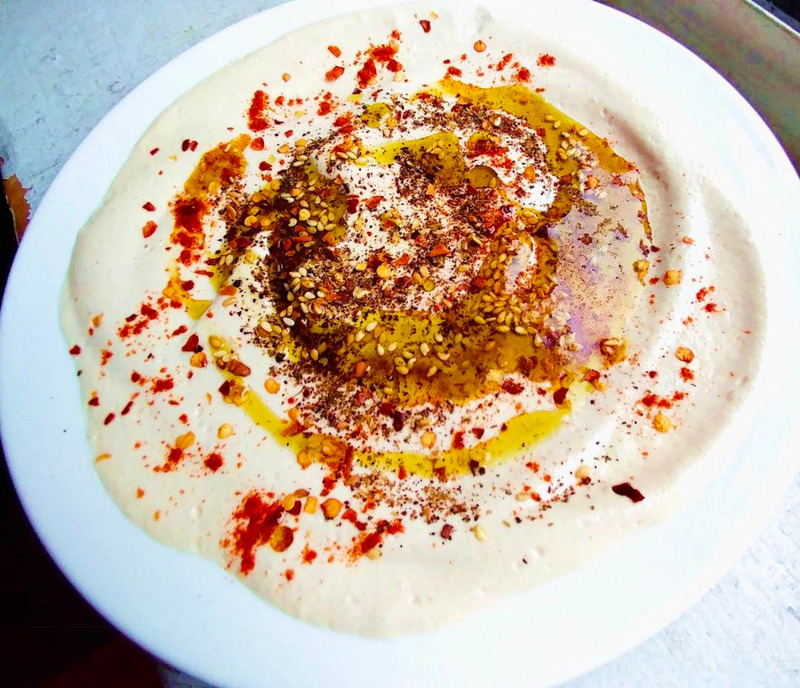 Transfer to a large bowl and spread hummus all the way around and up the side of the rim of the bowl, creating a well in the middle. Sprinkle with any and all of the optional spices and olive or coconut oil. Serve at room temperature. Mix breadfruit flour and water in a pot and cook for 10 minutes. Place in a blender with all the remaining ingredients. Adjust seasoning according to your taste as this is critical to personal taste.